KILLINGTON– As spring weather creeps in to replace winter, Killington Resort announces its 2017 Nor’Beaster events line-up. After kicking off the winter season with another first-in-the-East October opening and electrifying Audi FIS Ski World Cup races in November, Killington quickly eclipsed the previous winter’s snowfall totals before proceeding to pick up nearly five feet of natural snowfall in February alone. Killington Resort now charges into spring with a jam-packed events series as the longest ski and ride season in the East extends towards Memorial Day and beyond, weather permitting. 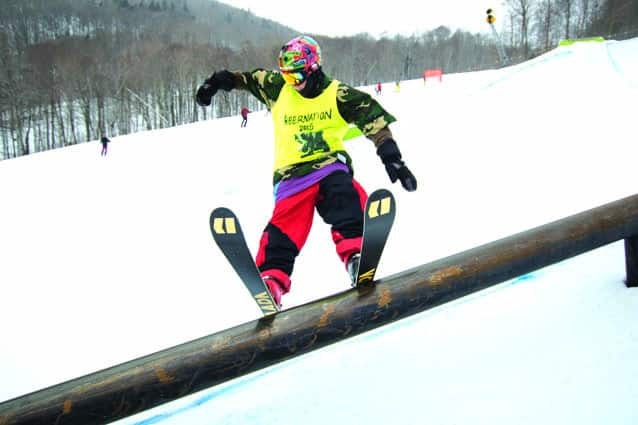 The much-anticipated Nor’Beaster events series, a celebration of spring in the Green Mountains, begins on April 1 with the Hibernation Park Jam in Bear Mountain’s Dream Maker Park, closing out this winter’s Killington Parks competition series. Following Hibernation, two legendary spring rites of passage, the Dos Equis Bear Mountain Mogul Challenge on April 8 and Pond Skimming on April 15, keep the party going. On Earth Day, April 22, the Dazed and Defrosted festival brings together live music, on-snow equipment demos, giveaways and an sustainability-themed expo village with activities promoting awareness of Killington’s many environmental initiatives. The ski-bike-run Killington Triathlon on April 29 and May Day Slalom on May 1 round out the events schedule, but spring skiing and riding will continue as long as Mother Nature allows. Despite the three feet of natural snow that fell March 14-15, less than a week later on March 23, Killington was out there again blasting its snowmaking guns on Superstar to add to its already huge base, doing all it can to ensure skiing and riding as long as possible. A Nor’Beaster spring pass is available for spring skiing and riding through the remainder of the season. A skier rides a rail during the 2015 Hibernation Park Jam, the last hoorah before the metal hits the shop.